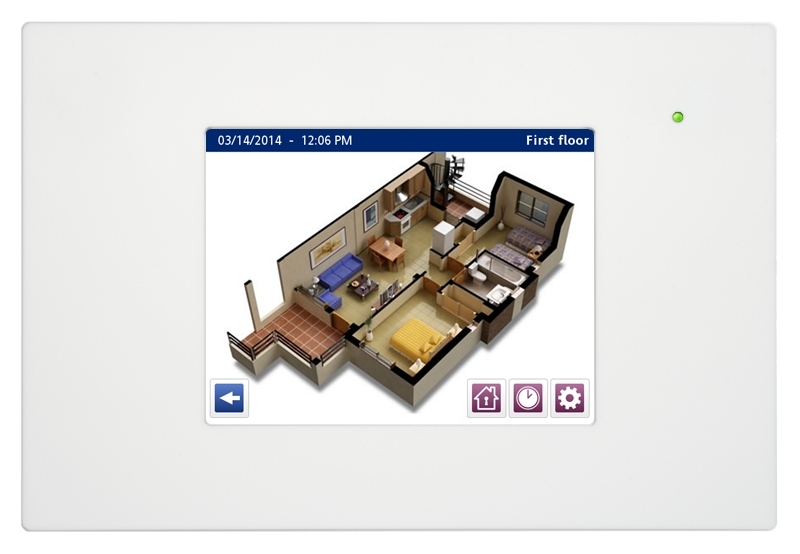 A cost-effective solution for control and monitoring of KNX installations; unbeatable feature to price ratio. Time schedules, scenes, logic functions, alarm monitoring, presence simulation, e-mail notifications, and much more. 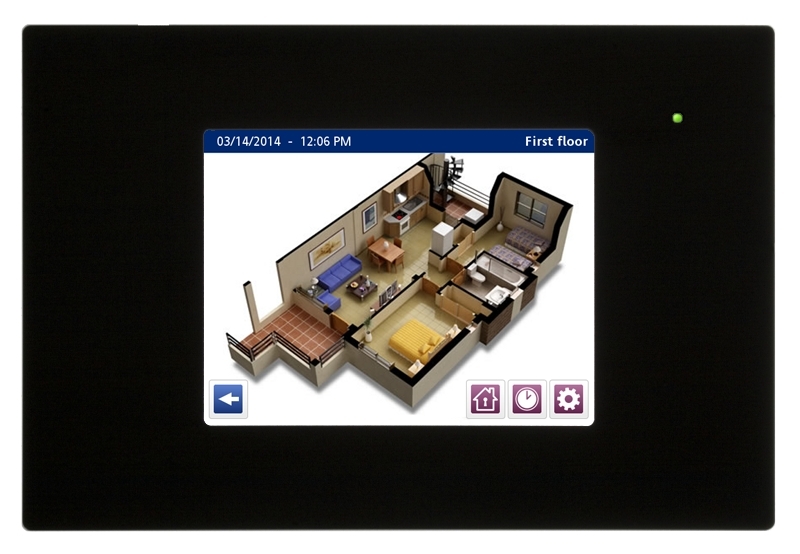 Control your installation directly through the unit’s touch display, or remotely from your smartphone or tablet. Flush wall mounting. Available in several finishes.